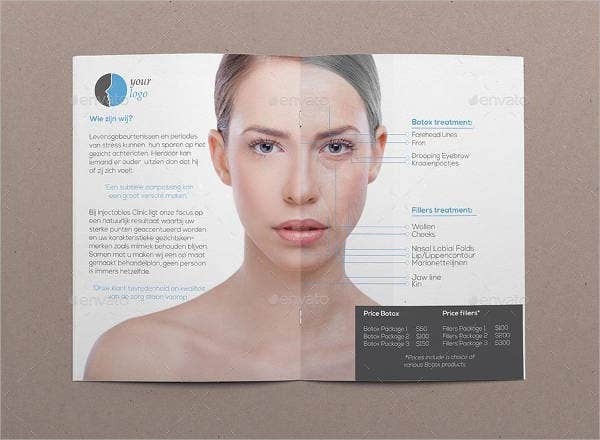 Nowadays, people tend to look more on outer beauty more intricately, which is the reason why there are a lot of both women and men who need services to assure that they always look their absolute best. With this, a visit at the salon is becoming a modern-day essential. 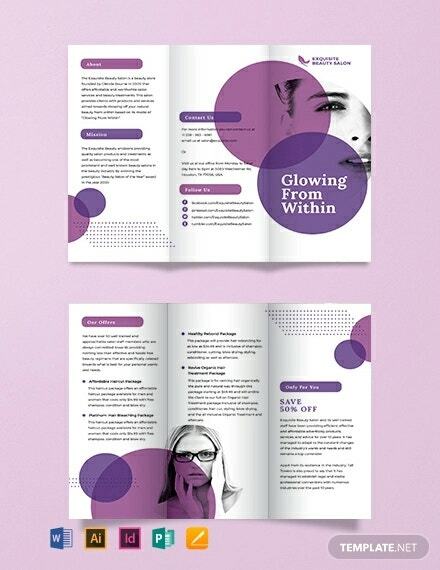 There are a lot of salons out there, and the competition to penetrate a specific target market is harder than ever. 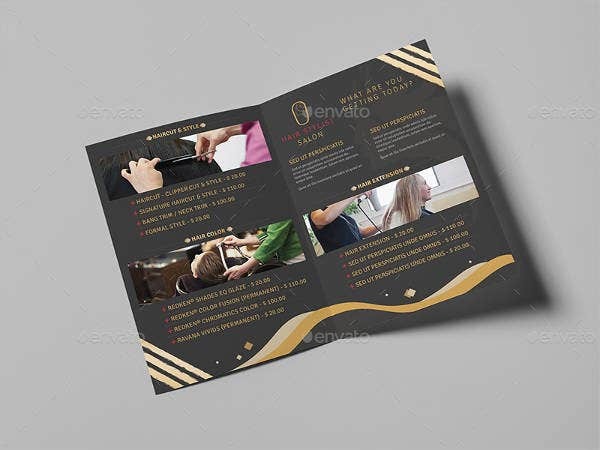 Aside from assuring that their professional services are better than the competitors, salons must also be able to think of ways on how to market their business. 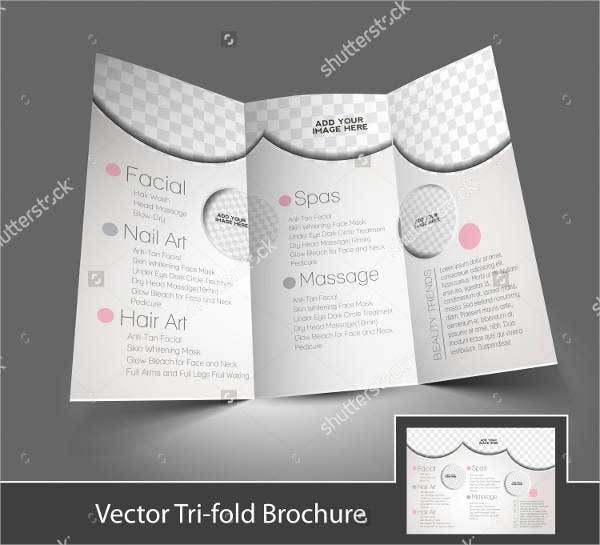 A salon brochure is very important in this situation. 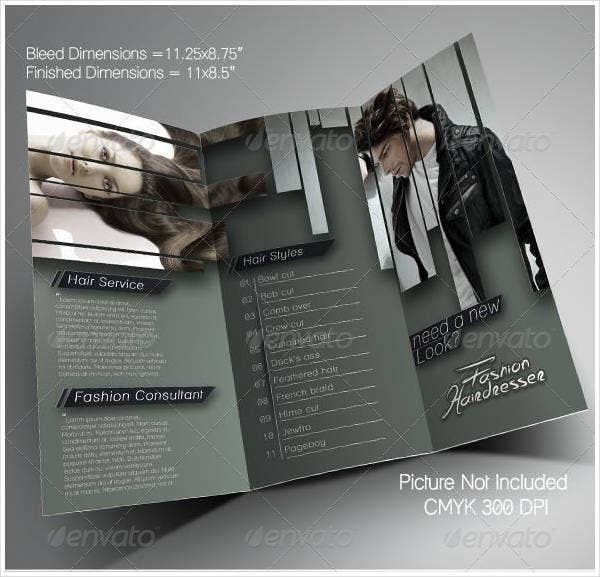 You may view our brochure design Templates and select other templates which may be used as a salon brochure. 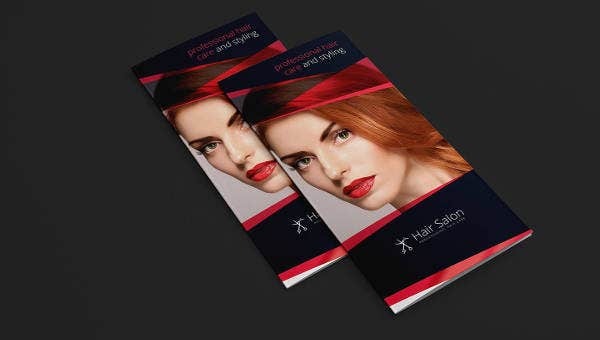 To be able to fully market your salon, make sure that the highlight of your brochure is the services that you want people to acquire. 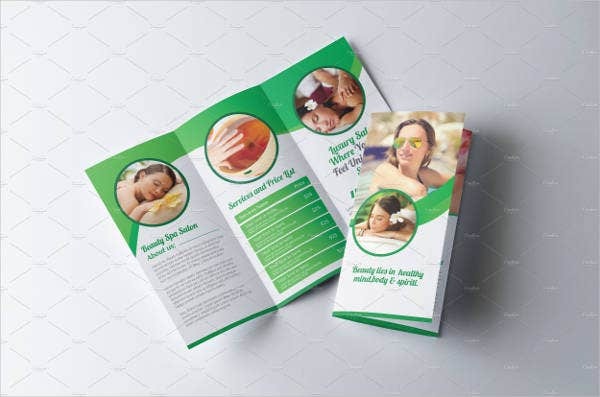 It is very important for a marketing tool like a brochure to include all the items that your target market would be happy to see and would want to try. Always give focus to the services that your salon is known for or is actually great at. 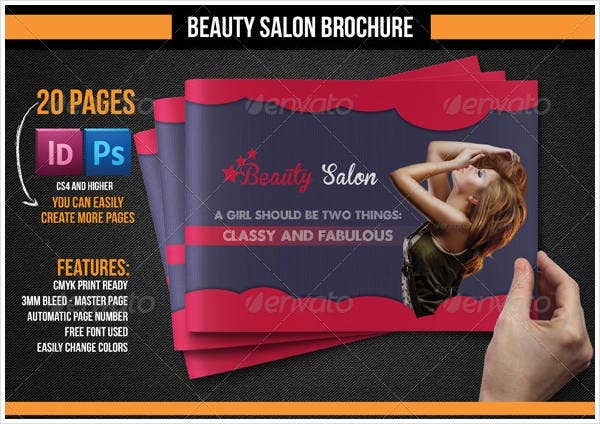 Aside from the services of the salon, you may also use the brochure to sell products that are available. 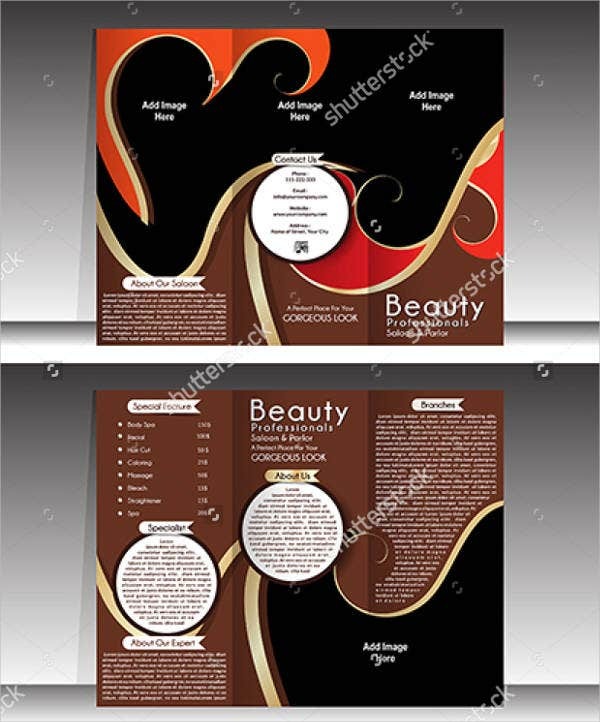 Some salons create their own shampoos and conditioners to prevent hair color fade easily. 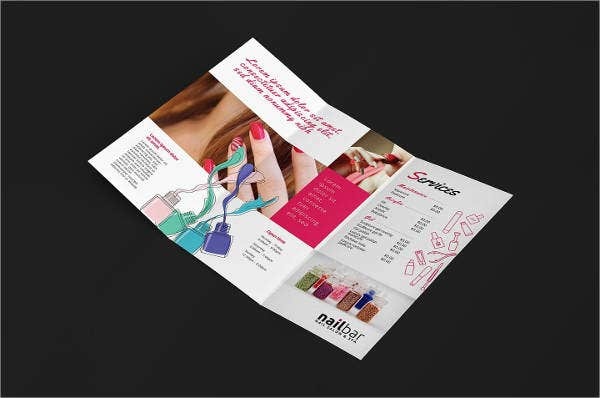 Others are retailers of items that they use in actual salon processes. 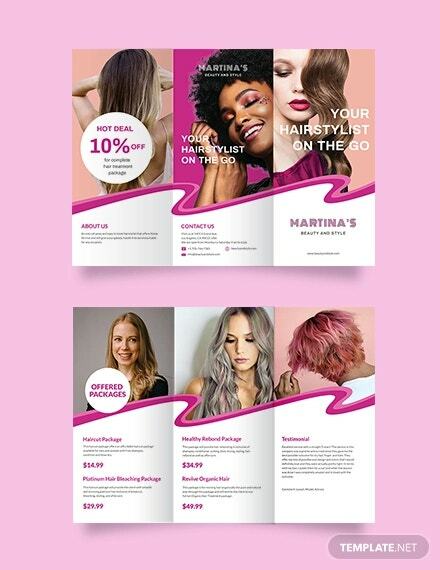 Products can also be a source of income to the salon and will also allow clients to feel that they are in the correct place as hair and beauty care does not end after the salon services have been done but continues up to their houses for maintenance by using the products that they have brought from you. 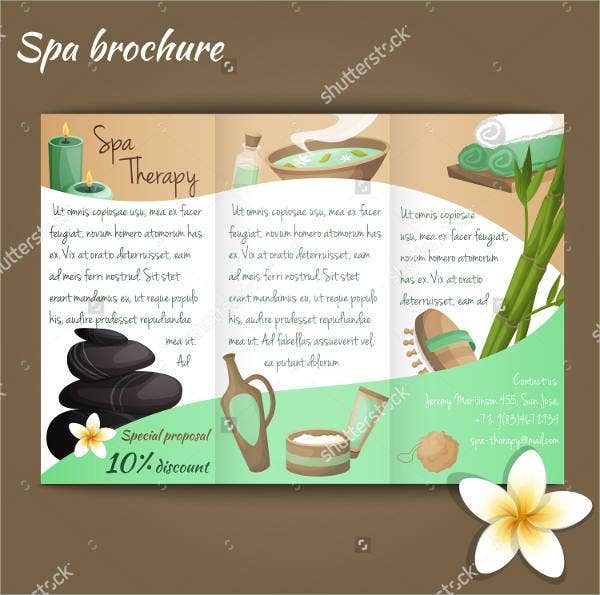 Kindly check our beauty spa brochures as well for a different kind of brochure if you’re in to the “relaxation” industry. 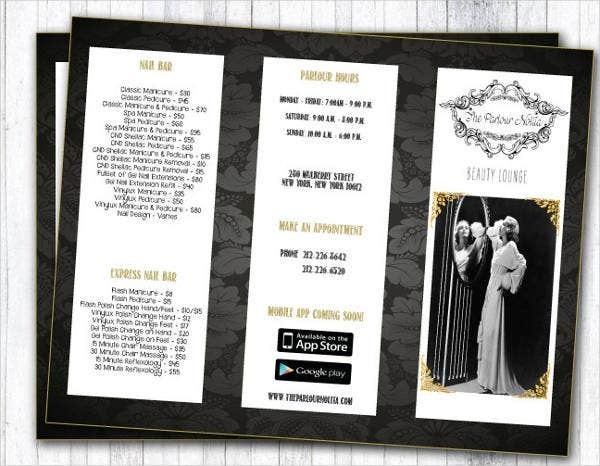 It is very important for a salon to have its own brochure. As said, competition is very stiff nowadays. You don’t want to log behind your competitors, right? 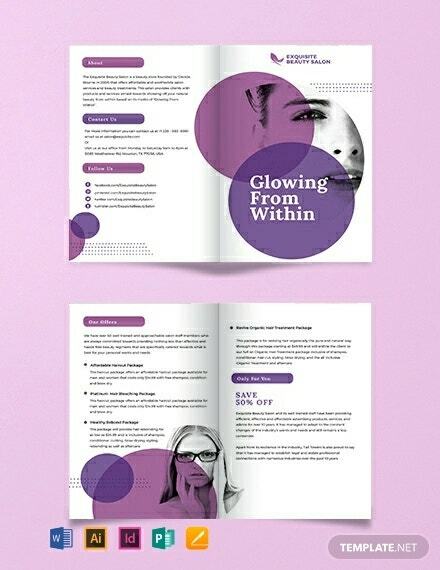 It allows salons to offer their clients new services and promotions. 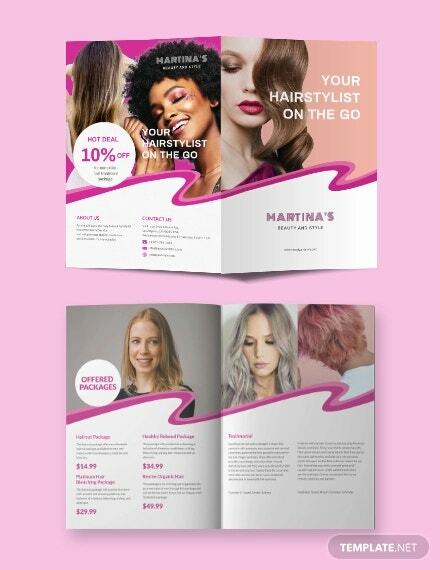 Having a salon brochure can also provide a wider market reach as it may be brought by your clients to other places and may be shown to their colleagues who wanted to get salon services as well. 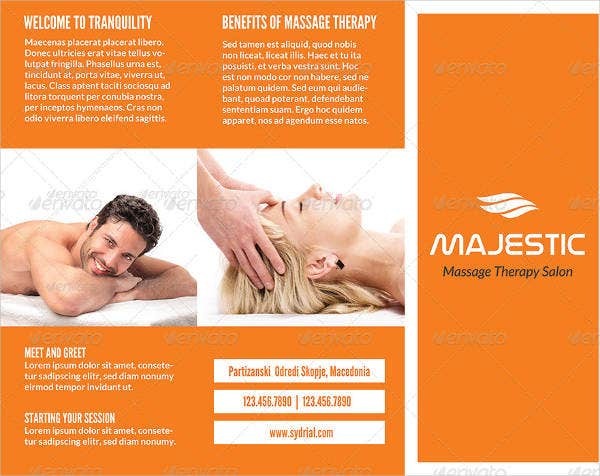 Aside from our salon brochures, you may also download our massage brochures .